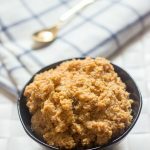 Milk Halwa or Paal Halwa Recipe – This Milk halwa is my hubby favorite dessert. During my early marriage days, he used to ask me whether I know to prepare Milk Halwa.. That time cooking is a nightmare for me. Also as I am not fond of any milk desserts I didn’t show much interest in learning this Halwa recipe. After I came Singapore, One day, my father brought this Halwa from India and I loved the taste. From then on, I wanted to prepare the halwa, but somehow kept postponing. So finally last week took the recipe from here n tried to celebrate my blogs anniversary month (6th year) and it came out good. Kept for 3 days and finished it. Let’s check on the Preparation of Milk Halwa. 1. Fry the rava till light brown and keep it aside. Now start boiling the milk. 2. 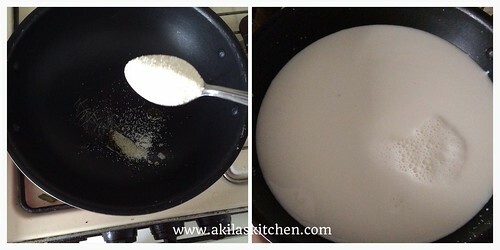 Keep stirring the milk and do this process until the milk comes to 1/3rd of its quantity. 3. 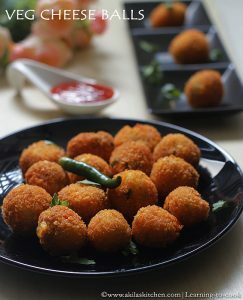 Add the fried rava. Stir it. After 5 minutes add the sugar and mix well. 4. Now add the ghee. Then add lemon juice. Keep stirring till the milk comes to a consistency shown in below. 5. Now add the cardamom powder and mix well. Now hold the handle tightly and mix as the halwa becomes very thick. 6. 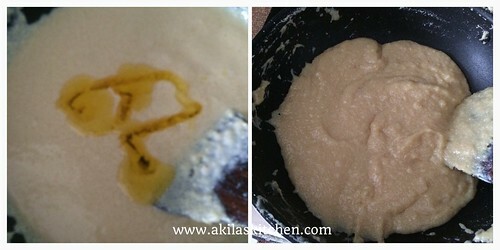 At a stage, you may notice the ghee start oozing out from the halwa. This is the correct stage to switch off the stove. 7. 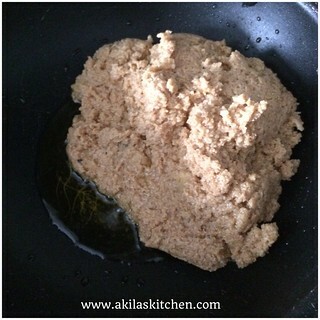 Remove the Milk Halwa from the stove and serve hot. 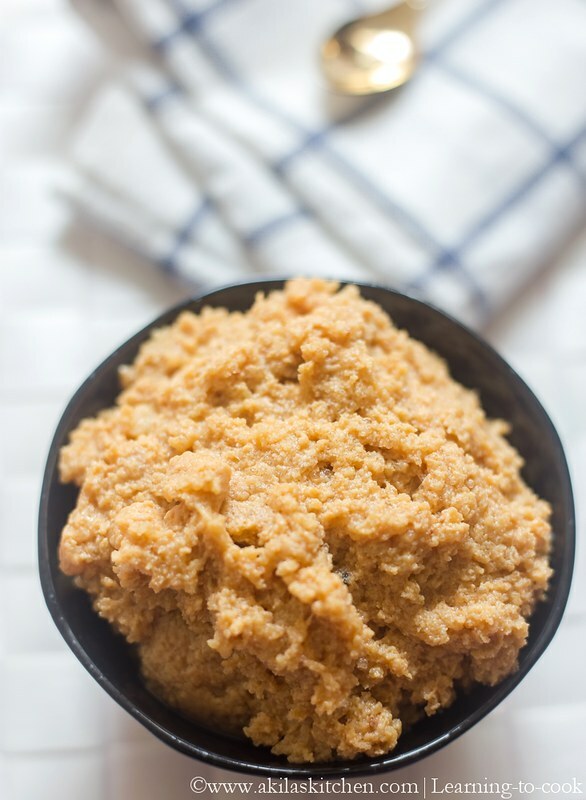 You can also store this halwa for 3 to 4 days when refrigerated. Yummy Milk Halwa is ready. Do you want it??? 😊😊..
1. Try to use non stick pan as it would be easy to stir. 2. 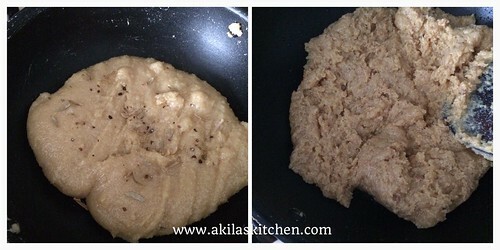 Always use a thick and flat bottomed pan for making this halwa, so that milk thickens faster. 3. If you like, you can add your favorite nuts as toppings and serve it. Fry the rava till light brown and keep it aside. Now start boiling the milk. Keep stirring the milk and do this process until the milk comes to 1/3rd of its quantity. Add the fried rava. Stir it. After 5 minutes add the sugar and mix well. Now add the ghee. Then add lemon juice. Keep stirring till the milk comes to a consistency shown in below. Now add the cardamom powder and mix well. 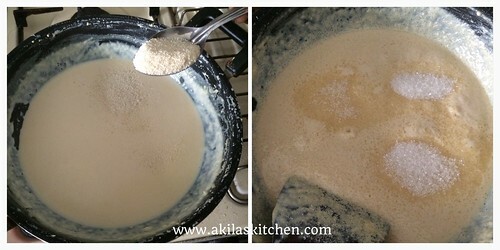 Now hold the handle tightly and mix as the milk halwa becomes very thick. At a stage, you may notice the ghee start oozing out from the halwa. This is the correct stage to switch off the stove. 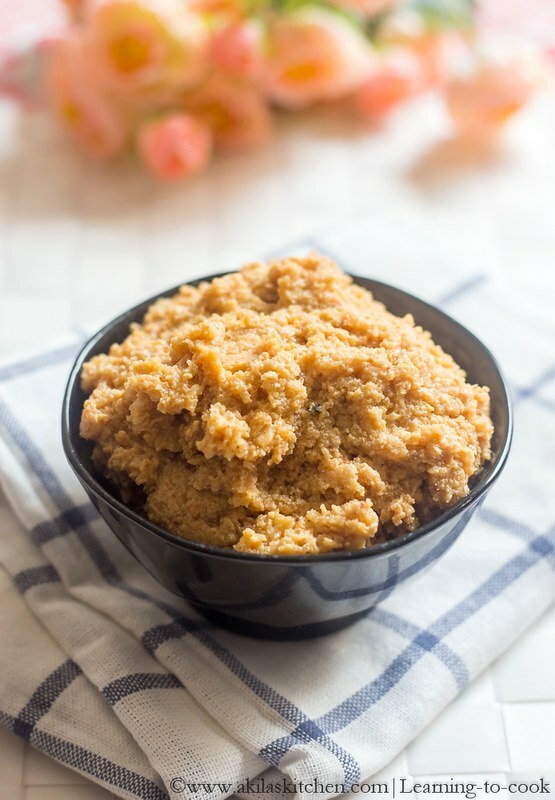 Remove the Milk Halwa from the stove and serve hot. 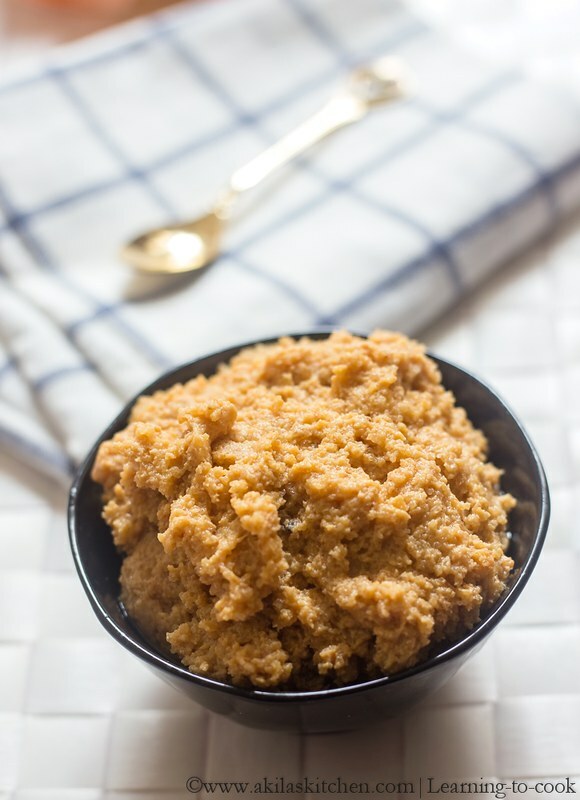 You can also store this halwa for 3 to 4 days when refrigerated. Love it.. looks so delicious and tempting.